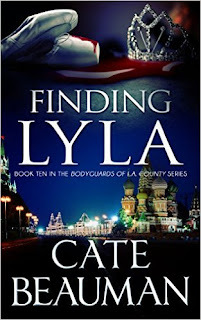 For information on Cate's new releases, monthly giveaways, and upcoming events, sign up for her newsletter at: http://www.catebeauman.com/author/home.html#!newsletter-sign-up/c9td. 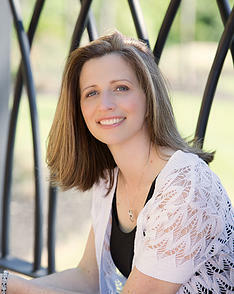 Her latest book is the romantic suspense, Finding Lyla. Connect with Cate on Facebook and Twitter. Find out more about Cate at Goodreads. Finding Lyla is available at Amazon. Thank you for having me! I spend a lot of time sitting in front of my laptop, creating new adventures I hope my readers will love. When I’m not tapping away at the computer keys, I’m raising two kids and two huge St. Bernards. My family and I are big kayakers. We take a paddle any chance we get. I also love to cook and bake, garden, and make jewelry. I began my storytelling journey in October 2010. We moved to a new state where I accepted a new job that I ended up loathing. After promptly resigning, I decided to give writing a try. Luckily, my new hobby turned into a very exciting career. When readers started buying my work and actually liking it was a pretty big moment! That’s what all writers dream of, but not all of us achieve it! It still boggles my mind that readers all over the world take the time to read the words I’ve typed on a page! I can honestly say I wouldn’t want to be anywhere but on my writing couch right here in North Carolina. I find that I produce my best work when I’m comfy, cozy, and in my own space. I get too distracted and out of my routine when my family and I travel. I hardly get anything accomplished. When I’m home, I have more success. I think I might sit down and savor the fact that I actually have four extra hours. After I got bored with that, I would probably bake something delicious and play a game with my kiddos. This one is tricky. The heroes and heroines of the Bodyguards of L.A. County travel a lot (Montana, Washington DC, Maine, Mexico, Maryland, Utah, Russia, and so many other places) so there are several different settings in the ten books currently available. In fact, I’m making it a priority to set book eleven in Los Angeles to give my readers an opportunity to catch up with the other characters in the series they enjoy so much. Back to your present book, Finding Lyla, how did you publish it? I’m a self-published author, which I thoroughly enjoy. I love having complete creative control of all aspects of my work! I can’t imagine publishing any other way! Lyla and Collin travel a lot in this adventure. They’re quite the globetrotters, but I had to travel via my laptop to complete my research for this story. It’s hard to go too far with kiddos in school and a full, busy life in your own zip code. I have a great time living vicariously through my characters. 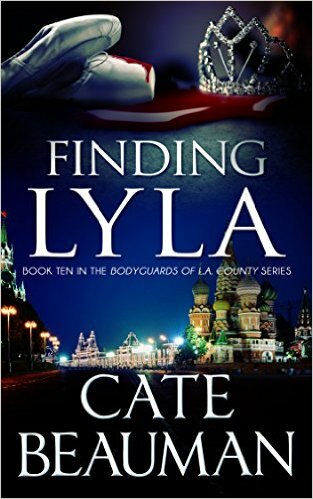 Why was writing Finding Lyla so important to you? I’m a writing addict. When I finish one story, it’s time to tell the next. When ideas for a novel begin to take shape, I become invested in the characters and plot with the ultimate goal of creating an excellent adventure my readers will love. It’s such an accomplishment to finish a novel you’ve poured your heart into for six months. Crime television is one of my best friends! For some reason, the hows and whys of the criminal element are fascinating to me. Villains play a large part in my novels. I love trying to get in their heads and see how they’ll cause obstacles for my heroes and heroines. Thank you for having me today! It’s so fun to meet new people and share my stories with new readers!